Experience Years of translation experience: 10. Registered at ProZ.com: Jun 2009. Became a member: Jun 2014. 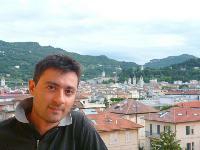 Professional practices Simone Giovannini endorses ProZ.com's Professional Guidelines. 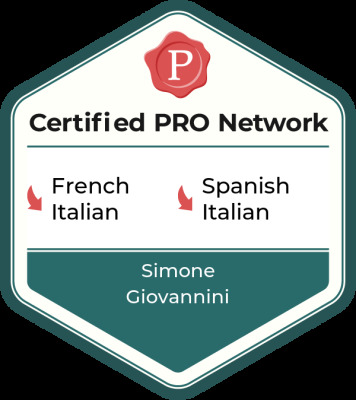 My name's Simone Giovannini and I'm a native Italian freelance translator working in French-Italian, Spanish-Italian and English-Italian language pairs. I consider my most important duty to offer my maximum reliability and professionalism, in accordance with the highest quality standards. That way I managed to get a vaste, permanent and costantly growing number of clients (some feedback in my Proz's page: http://www.proz.com/translator/1087309). I'm an Agronomist specialised in Viticulture and Enology. Contact me for any request.